As we close in on the new year, I wanted to take a moment and look back at the high points of 2015. After that, I want to take a look at the future... maybe make a few predictions. Read on... I think you'll be surprised. Before I begin, I want to state very clearly that I have not tried every product... no way anyone could... What I've selected, then, are from the products I've tried. Everyone is going to have their own opinions, and, although they should all be exactly the same as mine because we all know I am always right, they won't be, and that's OK. The iStick 30 Watt Box Mod. Laugh if you want. Snort derisively, even. But if this device were never released, we might still be puffing away on mech for the powerful vapes, and eGo pens for the rest of us. 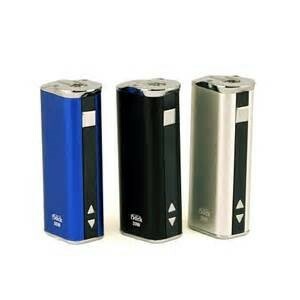 With the iStick line, Eleaf ushered in an era of affordable sub ohm vaping. Before this product, a sub ohm capable device was either purely mechanical (and by some people's definition, dangerous), or out-of-reach expensive. 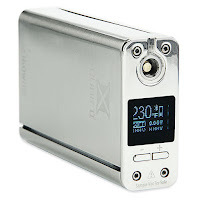 Because of the iStick, in order to stay competitive, companies like Sigelei and Pioneer 4 You had to release a reasonable priced box mod. 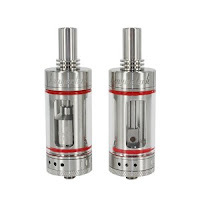 There were A LOT of sub ohm tanks introduced in 2015. A LOT! So much so that some reviewers just stopped reviewing them. So many of them were imitations or minor revisions of other tanks... it all became a blur... 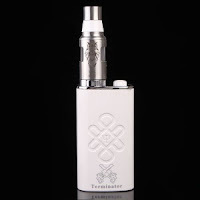 But, the Subtank - which was not the first - remains a breakaway product because of its inclusion of an RBA deck making this one of the first, if not the first, to make a sub ohm tank that could also be an RTA. Thankfully, many manufacturers followed Kanger's lead in this and made RBA bases for their subohm tanks. Some of them went so far as to include them like Kanger did. Many added RBA sections as an upgrade or option. Duh! This is the most heralded RDA ever. It's also the most imitated. Two post, four hole decks are appearing in just about everything from other RDAs to RTAs to RDTAs. And, it's with good reason. This deck allows almost anyone to install a coil without the bending and tweaking required when installing on a 3-post or 4-post deck. It is with a kind of shame, sadness, remorse - let's just say I have mixed feelings - that I give props to Tobeco in this case. Avid hasn't been able to meet the demand and so most people are sporting clones. I know I am... at $115 for an RDA, you bet I am! If it weren't for the cloners in China, there are a lot of people that might not have experienced the benefits of temperature controlled vaping. What's more, their addition (I think it was Infinite) of Nickel Purity opened a lot of people's eyes to the possibilities of using wires other than Ni200 for temperature control. Again, cost played a huge factor in this. 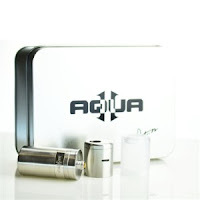 Today, I saw a review of a just released DNA40 device that cost more than two DNA200 devices. Ouch! The DNA40 is still a capable chip - no question - but it's not a classic muscle car, it's last year's model and should be priced as such. If you are a mod builder and you don't want to be told that, use a newer, more capable chip. In fact, if it weren't for Nickel Purity showing up in cloned DNA40 chips, I doubt there would be a DNA200 today. 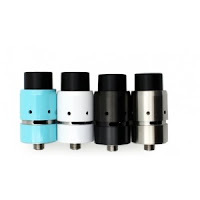 What the iStick did to the box mod market, the eVic did to the temperature control market. Even with the flaws, it was a better device with more power, longer battery life, and smaller price tag than the competitors. This forced other companies to step up their game (which made Joyetech work even harder), and release better devices with more features at a lower price point. This line of devices was a true breakthrough. it was a starter device with enough power to satisfy even some power users, provided an upgrade path, did so with a familiar cylindrical shape, and eschewed convoluted menus in favor of simplicity. Today, there's the eGo ONE Mini, the eGo ONE Mega, the eGo ONE CT (constant temperature), and the eGo ONE VT (variable temperature). The devices could be used with a 1 ohm coil and a dialed down airflow for the beginner wanting a tight draw, or could be opened up and handle a .5 ohm coil for those seeking a (restricted) lung hit. It allowed for stock coils - conveniently color coded black for Kanthal, blue for Ni200, and red for Ti - or, a relatively revolutionary rebuildable head in the form of the CLR heads. 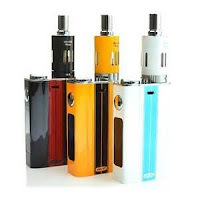 Joyetech seems to have known that they had a hit with that and they've based A LOT of devices around those tanks and those coils. In my humble opinion, the stock coils are only barely functional. Adding in a CLR head makes these tanks come to life! Further, an entire 5 pack of CLR heads costs less than most optional RBA bases. And, they came built! Win! Because of this device, vapers were able to finally recommend something to smokers that didn't scare them off, but would also satisfy them. I am actually quite sick of the Atlantis, the Atlantis 2, the Atlantis Mega, the Triton (or Atlantis 3), and the Triton 2 (or Atlantis 4). 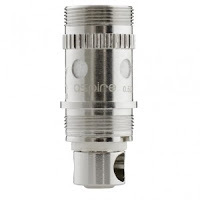 No matter how sick I am of it, it cannot be said that the coil head fitted inside the Atlantis hasn't changed the state of vaping. 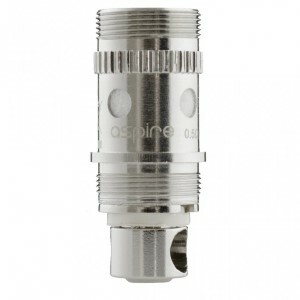 I think - without actually counting - that there are more tanks from more vendors using Atlantis coil heads on the market today than there were tanks on the market at the end of 2014. But for all that people love love love the Atlantis coil head, it took Anyvape and Eleaf to create an RBA. When Aspire tried to do it, they created something really and truly terrible! Put that in your pipe and don't smoke it! Technically, this was released in 2014, but is was at the very tail end of the year. This atomizer brought versatility to the game, and until recently, it was a game that no one else wanted to join in. Now, there are several choices: The Rage by Itsuwa, the Sapphire by Kepler, and the Triforce from CCI are all riding on Footoon's shirttails. I like them because they allow the vaper with a limited budget get one device that will, in a pinch, do the work of three. 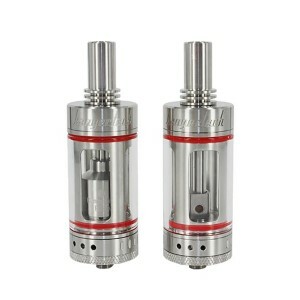 Another device that follows in this same vein is the Morph Tank from EHPro. SMOK can be listed as the comeback kid of 2015. They had almost been written off after the disaster that was the SMOK XPRO M80 Plus, but instead of crawling into a cave and withering, they went back to the drawing board and came out with a device that delivered a lot of power, firmware upgrades, temperature control, adjustable TCR, bluetooth connectivity, geeky flashy lights, decent battery life, and interesting form factor, and the ability to do the dishes and walk the dog. Wow, we started 2015 with simple 30 watt mods and clearos, and we ended with high-powered, temperature controlling, upgradeable powerhouses and fully configurable RDA/RTA/Subohm workhorses. Feel free to leave comments and agree, disagree, or laugh. I look forward to reading each and every jot. The FDA shindig will pass as it is, and then - ONLY THEN, when vapers walk into empty shops with no mods and no-eliquid, just rows of tobacco flavored cartos with proprietary connectors and cheap, disposable batteries - will we come together as a community and fight for what is right. Sadly, the reason this is going to happen this way is due to a growing split in the community. There is a huge crowd with the attitude "I have my mods and I DIY e-liquid, so I ain't worried" and another group that is just in it for the fun and toys and will find a new fad when this one is taken away, and a third group of committed, dedicated vapers that will continue to work to see that this life-saving tech has a future for the benefit of all. But, how can I say that, I'll hear over and over. "I signed the petition. I wrote the letter." Of course, you did, and you're in that last group I listed. But take a look at the larger picture... there are millions of vapers in the US and we had to scrounge and wheedle and cajole and and whine and offer giveaways to get 100,000 signatures. The majority of vapers choose, I fear, to live blissfully unaware of what is about to land squarely on all our heads. Eventually, it will flip back around as it is slowly doing in the EU, but a lot of the damage will have already been done. We will have lost lives! Smokers that could have quit will not. Vapers that weren't prepared will return to smoking. Businesses will fold. And, the products that we have known and used for all this time, when they are allowed back on the shelves, will be taxed as cigarettes and alcohol are today. We, as vapers, will be able to say that we won the war, but at a huge cost! I surely hope I am dead wrong. This is making me sad... comment your vision of the future and cheer me up! I agree with many of your choices. I am still using my 30 and 50w iSticks, and Kanger Subtank Mini is my favorite tank.I bought a Kanger Subox with am upgraded Subtank, and it's my favorite MOD by far. I'm ready to plunge into tc now, but still haven't decided what I want. 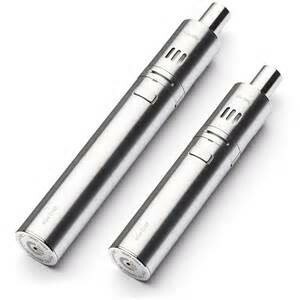 I think we should load up on MODS,rechargeable batteries and ejuice. I can't imagine having to vape with plain cigalikes, and I wrote my legislators several times about the grandfather clause on vaping, to avoid the worst case scenario. They say most businesses will close; I think it's 80%. It can't hurt to buy VG, PG,and Nicotine either. Sure beats going back to tobacco, which I no longer enjoy. I've been vaping for over 3 years now, and remember when the Vision Spinner was all the rage, and the mini protank seemed to good to be true. But they want to take things back further,and that's unacceptable!